How does Pixar name its characters? The same way any other writer might: It’s a normal part of the story process. Revisions can happen for many reasons. The protagonist of A Bug’s Life was a merge of two characters from an earlier version, “Flick” and “Grub.” The “Flick” name survived, but the “c” was dropped when someone saw how it might look in certain fonts or hand-written in all caps. In early versions of Monsters, Inc., Sullivan was going to start as a nebbish screwup named “Johnson.” Then someone pointed out that perhaps we already had our quota of character names that could be awkward euphemisms. He became “James P. Sullivan” and also eventually lost the glasses. “Mustang McQueen” became “Lightning McQueen” when the character became a pure race car not associated with a known model. “Mater” got his name from a character named Mater that John Lasseter met at a NASCAR race. So the short answer (too late, I know) is that there’s no one short answer. I’ll bet most people reading this didn’t know Woody had a last name, though. Quite understandable, since it’s never mentioned in any of the Toy Story movies. 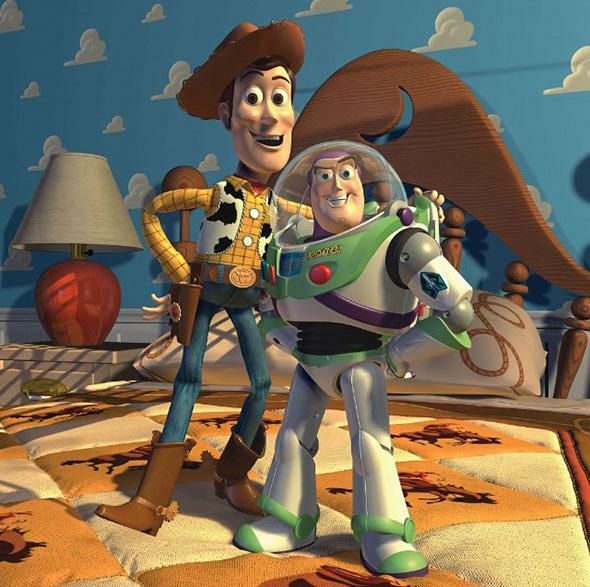 Toy Story:Why is Andy’s father never mentioned in any of the Toy Story films? Disney Pixar Animation Studios: Will Disney’s Pixar sequels dilute the Pixar brand? Animation: Why is Disney still making female characters with such cartoon-ish bodies?